Economical Classic Wrestling Mat made from NEW production foam remnant pieces. 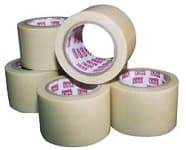 One 3" roll of tape included with 10'x10' and two section 12'x12' mats. 5'x10' mats come as one piece with no markings and no tape. Meets or Exceeds ASTM F 1081-03 "Standard Specification for Competition Wrestling Mats" in accordance with ASTM F 355 "Test Method for Shock Absorbing Properties of Playing Surface Systems and Materials". What is a remnant mat? Wrestling mat foam comes in 5' width rolls by many yards long. We lay these rolls side by side and glue them together to form the size mat a school or customer has ordered. When we come to the end of these rolls there is material left over. These left over pieces measure anywhere from 1' to 6' long. We store these pieces until we have enough material to manufacture a home use mat. These mats are made from brand new material. Sometimes from storing these pieces they may develop a small crease or small indent. These imperfections would classify the mat as a second or remnant grade. A wrestling mat must have excellent shock absorption, tear resistance, and compression qualities. For this reason, we rely on PVC rubber nitrile foam designed specifically for impact protection. In fact, you'll find this product in football helmets, karate pads, and under artificial turf. Wrestling mats made from Polyethylene foam can't compare to the physical properties of rubber nitrile foam. After a mat has been manufactured it goes through a two week curing process prior to shipping. A powder coating is applied to the mats to assure that it doesn't bind to itself. Upon receipt, all mats will need to be cleaned. Ensolite foam core. Tougher than Trocellen foam used by other manufacturers. Coated edges to prevent deterioration. Taped seams are far superior to hook-and-loop fastener wrestling mats, since there is no annoying and dangerous "bunching-up" of the fasteners used on competitors' mats. 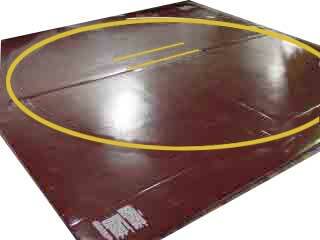 12'x12' two section wrestling mats come as two 6'x12' pieces with a 10' circle and referee markings. 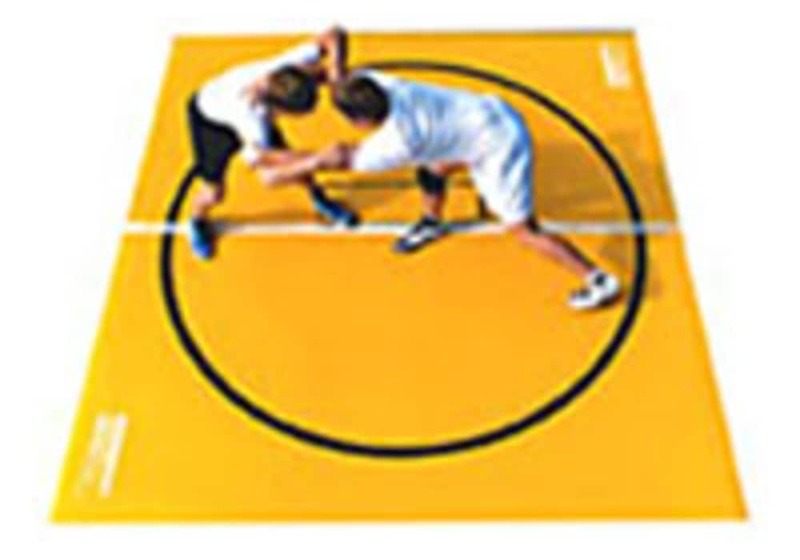 12'x12' one piece wrestling mats come with a 10' circle and referee markings. 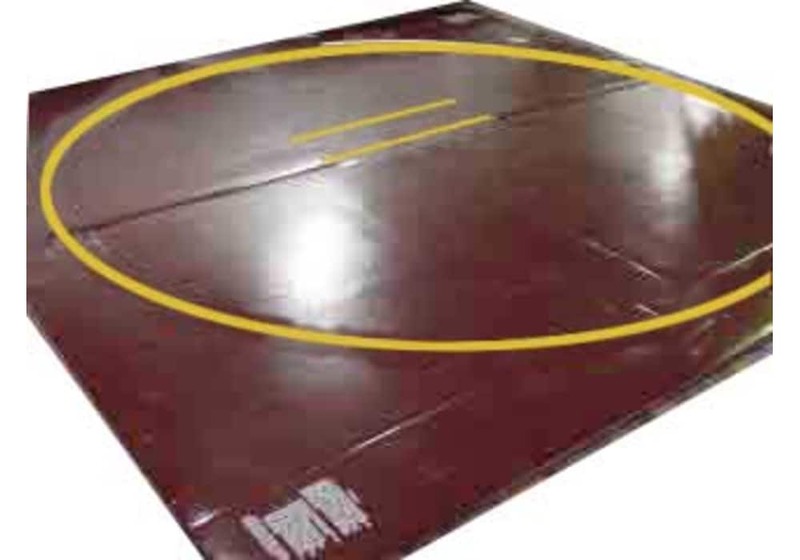 10'x10' wrestling mats come as two 5'x10' pieces with 8' circle/referee markings. Custom mat sizes and color combinations can be produced to your specifications. Request a Quote below. See our instructions on how to car for a wrestling mat. 5'x10' and 10'x10' mats ship via FedEx Ground. 12'x12' mats ship via LTL freight truck. Need a Custom Size or Custom Color Combination? Please specify thickness (1" or 1.25") in your request.